10/6/2018 ~ Foreclosure Awareness Wondering Angel. Wondering… to speculate curiously. That marvelous aspect of our minds, to wonder, to be curious to know something. How seriously damaged is our wondering, when “news” leads us to believe so many things, as if those things have one dimension and no perspectives other than that one presented by some news employee with a good voice and a paycheck keeping her or him loyal to corporate interests? 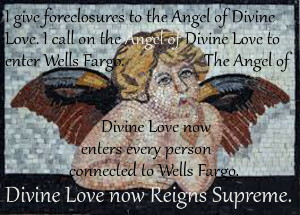 I wonder how many Americans could have fought bank fraud in foreclosures and kept their homes if they had only known about the UCC and who is entitled to enforce a negotiable instrument, like the Original Note. I wonder if Americans had had the knowledge, and used it in court, whether that show of informed power would have forced lenders to lower mortgage interest rates in loan modifications that would have allowed literally millions of Americans to keep their homes out of corporate ownership stemming from foreclosure. 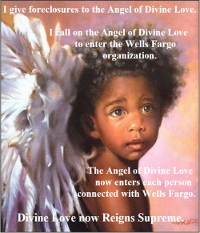 Our Collective Conscious unites us and strengthens us against bank fraud. We are our own best hope. Angels are a good image for our Collective Conscious. Do you know who owns your mortgage note? 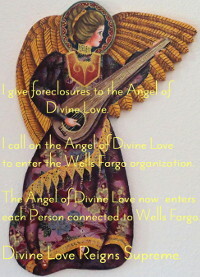 Foreclosure Awareness New Day 15. Do you know that Fannie Mae transfers your Original Note to the Foreclosure Plaintiff? 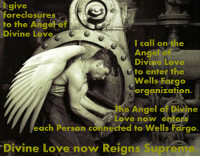 Foreclosure Awareness New Day 16. Art Credit : The original work of art is a beautiful mosaic that can be purchased: Wondering Angel Mosaic Handmade.